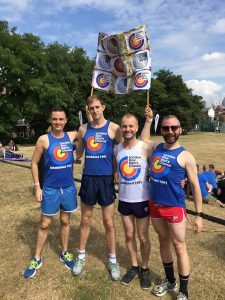 Earlier today, five of our plucky members headed to Vauxhall Pleasure Gardens to compete under the LGMC banner for the RVT Gay Sports Day, in aid of GMFA – the gay men’s health charity. 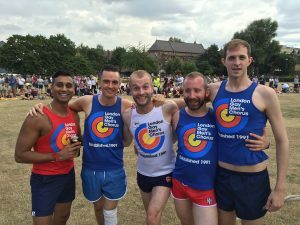 Our teams have won the Gay Sports Day for the last two years, so there was absolutely no pressure on Nilesh, Martin, Mikey, James and Steven whatsoever. None at all. 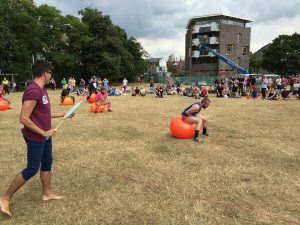 The guys had a rough start, with an early drop in the Potato and Spoon Race that was difficult to recover from. 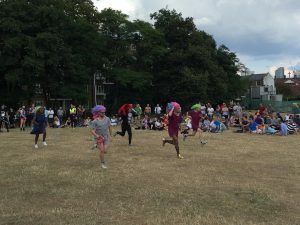 However, in their heat of the Space-Hopper Race the boys got into their groove – easily winning their heat and coming in 2nd overall, despite a sabotage attempt from the XXL Fluffers. 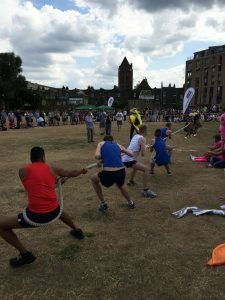 Next up was the Tug-o-War where again the boys put in a brave effort, but alas succumbed to a stronger team. 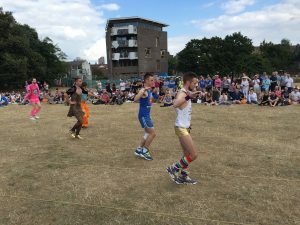 There was a return to form in the 50m Mince where Mikey snatched 2nd place, while a hefty lead in the Drag Relay was lost to a costume malfunction in the penultimate changeover. 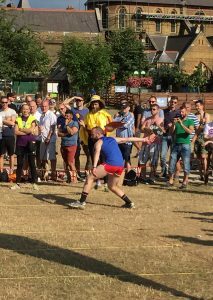 In spite of drawing the final throw in the Handbag Toss, Martin did a great job and got us a 3rd place with only the Floor Routine to go. Despite a great routine from our boys, judging of the Floor Routine was particularly harsh on our guys which meant that in the end they just missed out on a medal position in the games overall. They may not have regained the crown, but we’re incredibly proud of our boys and the effort they put in. They now begin training for next year in a bid to get back on that top spot! Our boys getting set for the start of the games! 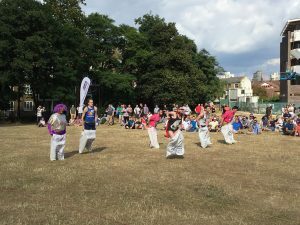 Making a dash for it in the Drag Relay. Proud of our boys! Nilesh, Mikey, Steven, Martin and James.